This is revealed in a correspondence to the Vice-Chancellor of the university Professor Kayode Soremekun dated November 27, 2018 signed by I. B Momoh on behalf of the Registrar and Chief Executive of the professional body. According to the ICAN boss, the approval is as a result of the the University's request for the establishment of examination center in its campus. The center is expected to start with the March 2019 diet of ATSWA examination", the statement said. The March 2019 diet of ATSWA Examinations is scheduled to hold on Tuesday, March 12, 2019 and Wednesday, 13, 2019. Reacting to the development, the Vice-Chancellor of FUOYE, Professor Kayode Soremekun said, it was one of the steps employed to showcase one of the fast growing University in Nigeria to relevant professional bodies, the country and globe at large. 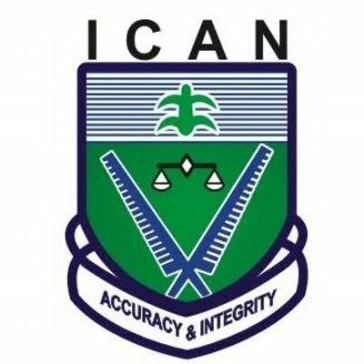 This partnership with ICAN according to the University Don was to equip the institution undergraduate who wish to make a career in Accountancy with the procedures for qualifications for reaching the peak of the profession. Professor Soremekun said his administration will accommodate all professional bodies who would want to partner with FUOYE, assuring that ICAN will not regret its decision as it will be the beginning of a mutual and beneficial relationship between the university and the prestigious institute.